The Garden District is one of the most fascinating neighborhoods in New Orleans. If you’ve been on a walking tour of the French Quarter and think you’ve learned all there is to know about New Orleans, think again! The moment you cross Canal street and start heading Uptown, you’ll notice the street names change: Decatur becomes Magazine, Royal becomes St. Charles, Bourbon becomes Baronne and whole different chapter of New Orleans history begins to unfurl. That’s because when you leave the French Quarter and cross Canal street, you’re entering into what was once known as the ‘American Sector’. Originally called the Faubourg St. Marie, today’s Central Business District was the very first suburb of New Orleans. In the early days of New Orleans, Americans were foreigners to the city and were not entirely welcome by the Creoles residing in the Vieux Carre (french for ‘Old Quarter’). Early Americans settled on the upriver side of Canal street, creating a district, and eventually an entire town distinct from the the original city of Nouvelle Orleans. 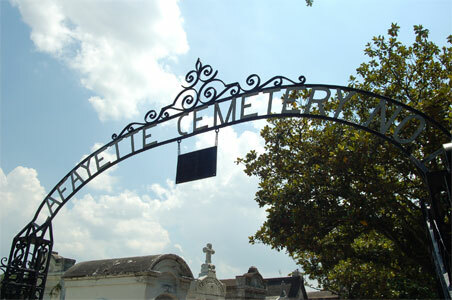 The Town of Lafayette was established in 1833 in the midst of the biggest economic boom in New Orleans History. Businessmen and entrepreneurs from New England and other northern states like Ohio, Kentucky, and Tennessee flooded into New Orleans with hopes of striking it rich in the industrious port city. By 1840 New Orleans was the fourth largest port in the world, where it was possible for some to become millionaires virtually overnight. As they built their wealth on the distribution of cash crops like cotton, sugar, coffee and indigo throughout the world—all cultivated and harvested by enslaved Africans—theses “Barons” of industry chose to establish their own town separate from the Creole city New Orleans. Although by 1852 The Town of Lafayette is annexed into New Orleans as its Fourth Municipal District and Tenth Ward, the district remains distinct even to this day. Whether traveling by foot or aboard the historic St. Charles streetcar, a trip uptown is the best way to dive deep into New Orleans history outside of the French Quarter. The St. Charles streetcar dates back to 1835, and the same type of green and crimson ‘Perley Thomas’ streetcars have been in use since 1923. 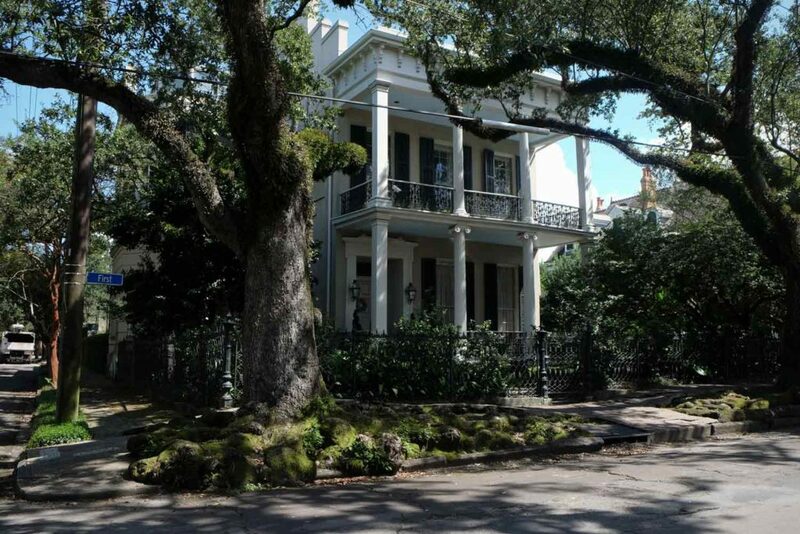 Hop off the streetcar at Washington street, and you’ll find yourself in the heart of one of the best-preserved collections of historic homes in the southern United States: The Garden District.